CTi has set the standard for truly custom ligament bracing for more than 20 years. This classic is redesigned with a host of new improvements, like Sensil® Silicone padding that eliminates migration, a flexible lower medial cuff for greater protection against rotational forces and skin-friendly SensEdge overmoulding to avoid pressure points. Find out why CTi knee braces are demanded by top athletes and respected by leading physicians around the world. The best osteoarthritis (O/A) bracing technology is available off-the-shelf. Össur’s Unloader knee braces offer an effective treatment for the symptoms of osteoarthritis by unloading the side of the knee affected by osteoarthritis. A gentle force is applied to lift the affected bone away from the surface which is causing the discomfort, resulting in a reduction in pain and an increase in the wearer’s mobility. 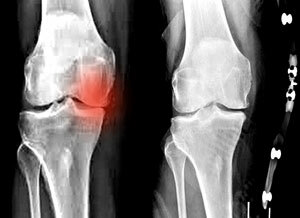 Many people choose to treat their OA symptoms, such as pain in the knees when walking, stiffness and swelling of the knee joints, with oral medications, injections and surgery. However, there is another option. 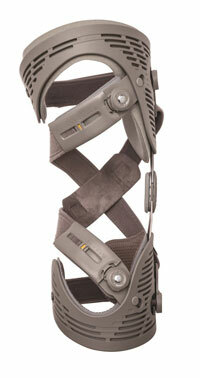 Knee bracing for knee OA is less invasive and can be less costly than these other treatments. Plus, it is simple, safe and clinically proven to work. The Unloader One is an affordable and highly effective brace to re-align the hemi Osteo – arthritic knee and aid a return to non-contact sport. Unloader One® is a comfortable, lightweight, low-profile brace that provides excellent suspension and unloading leverage. This lightweight brace preserves the clinically-proven Össur® Unloader 3-Points of Leverage design by incorporating Dual Dynamic Force Straps that are easily fine-tuned via a Dynamic Force Control System. Colour-coded Quick Fit Buckles simplify application and removal, while flexible shells and breathable liners, coated with Össur Sensil® Silicone improve comfort and reduce migration, helping to ensure patient compliance. Recent research demonstrates that Unloader One reduces pain, improves function and decreases the use of pain medication. The brace that has set the standard for truly custom ligament knee bracing for nearly 25 years is available off-the-shelf. Substituting elements of the rigid CTi frame with a flexible subshell and Adjustable Tibial Strap, CTi OTS provides adjustability and an excellent out-of-the-box fit while maintaining the level of support and protection that you expect from a CTi knee brace.